Once your holiday ham plan is locked down, you have the incredibly fun task of choosing which delicious sides to serve. But what goes with ham? Everything. Of course, you will want to serve the traditional potatoes, but other dishes can mingle with and play up your Hamas salty, yet sweet, flavor. Whether you are making dinner yourself or bringing a dish to pass, we have you covered with these 9 ham-friendly side dishes. Why do ham and au gratin potatoes go together? Well, if ham were a superhero, then au gratin potatoes would be its trusty sidekick. The cheesy, tender, creamy potatoes can definitely hold their own, but they stand up to Hamas saltiness in a uniquely delicious way. Plus, this recipe is easy to make with ingredients you probably have on hand. 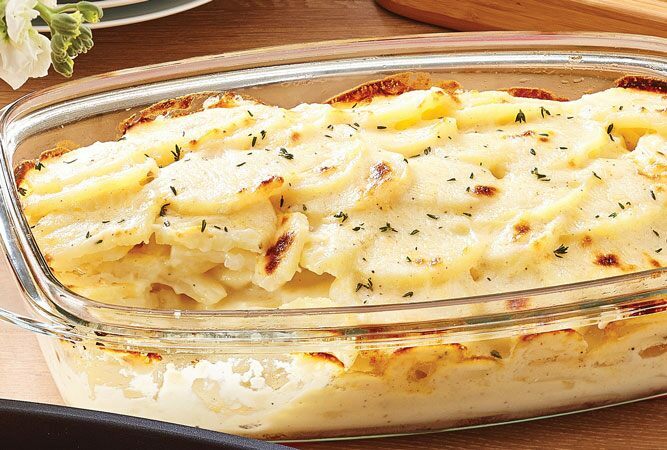 This recipe puts a tasty twist on the traditional au gratin or scalloped potatoes. 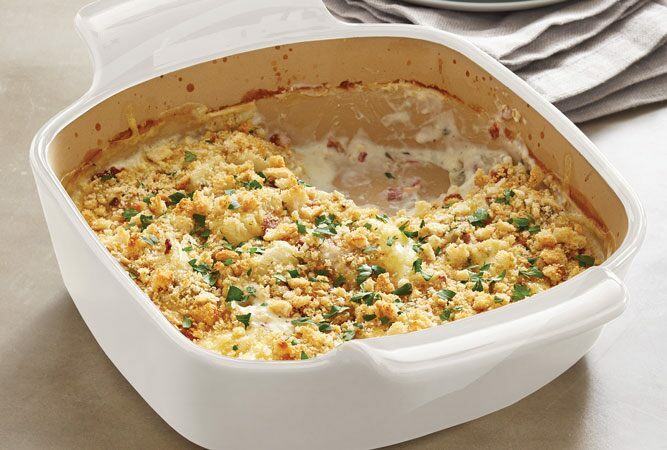 Filled with savory bacon, creamy Swiss cheese, and sharp onions, and then topped with a crunchy crouton crust, this simple recipe will be a favorite as soon as you take the first bite. Who says sweet potatoes are just for Thanksgiving? Ham has met its match with this healthy alternative to traditional spuds. 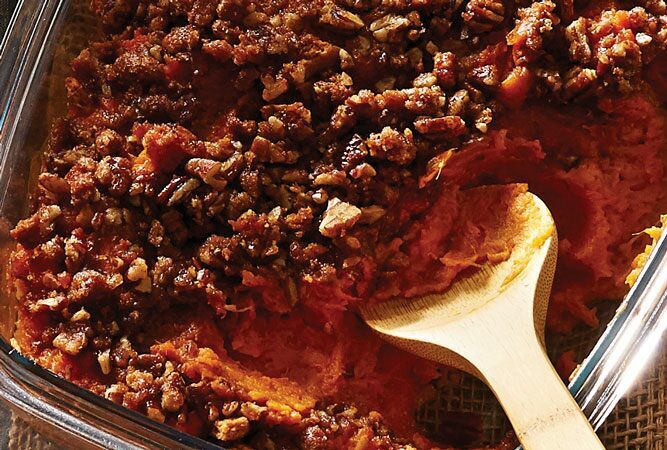 The crumbly pecan topping provides a perfect contrast to creamy sweet potatoes and juicy ham. 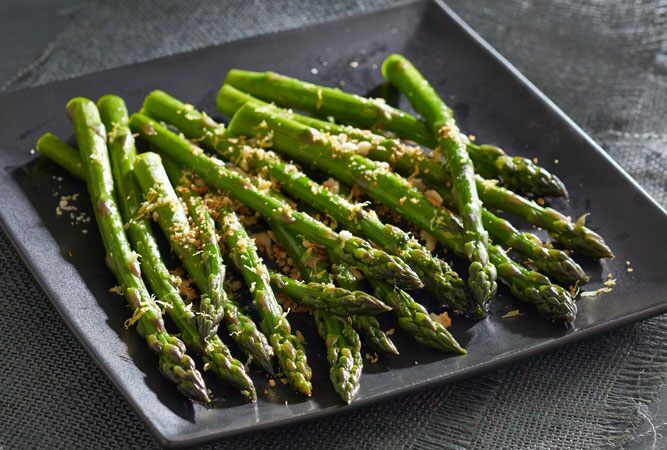 We dream of asparagus season all year and as luck would have it, this tender, delicious treat is at its peak in early spring. Whether you prefer to flavor it with Parmesan cheese, balsamic vinegar, toasted almonds, lemon pepper, or just add a little crunch with toasted bread crumbs, this recipe has you covered. You know the brutal chill of winter is on its way out when fresh, summery salads start appearing. 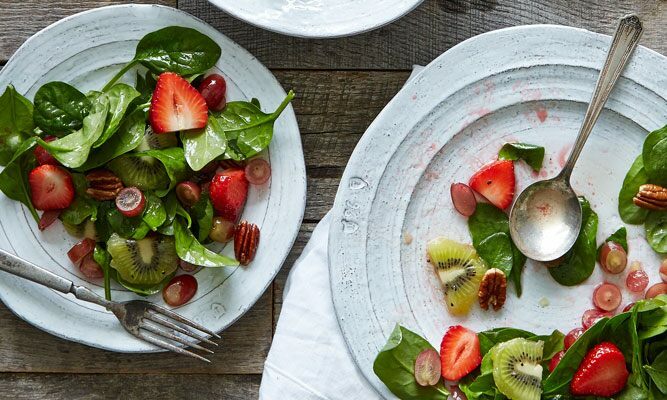 This light salad is a lovely contrast to heavier dishes like ham and potatoes. 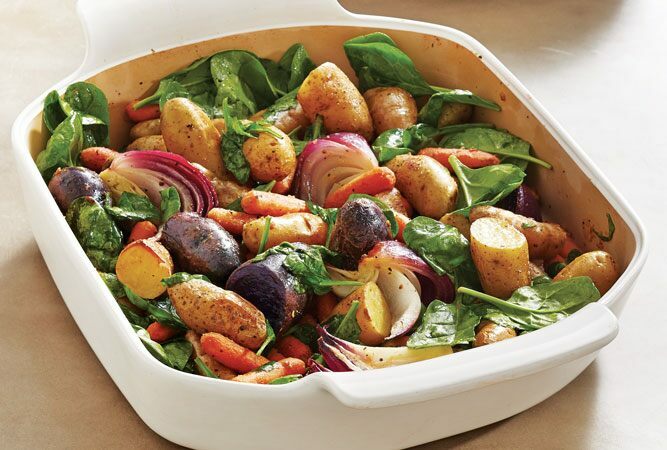 This simple side dish has potatoes, carrots, onion, and spinach, enhanced by a bit of sweet honey and your favorite seasonings. All the bright colors and fresh produce will add a beautiful pop of color to your table or buffet. 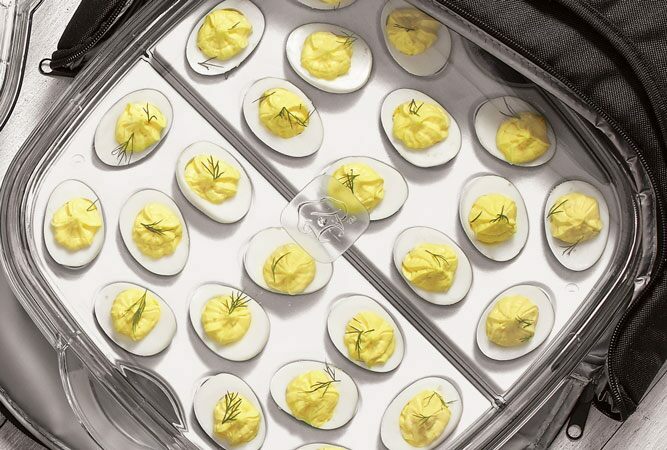 Deviled eggs are synonymous with Easter, and a sure sign that spring has (finally) arrived. They are an absolute staple of springtime gatherings, and this recipe will help you do them right. Top them with fresh dill or a sprinkle of paprika to make them extra festive! If you want to serve veggies with a bit more flavor than your standard steamed variety, this is the recipe for you. 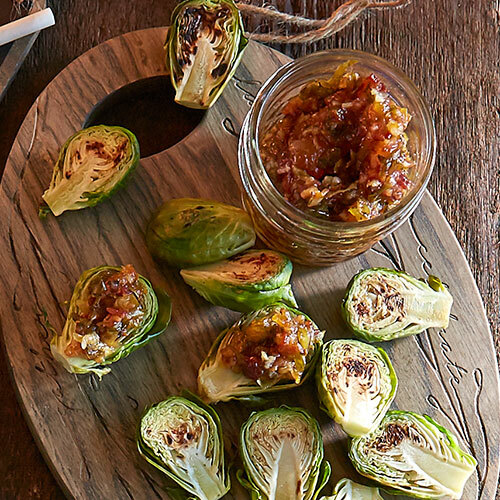 Fresh brussels sprouts and tasty bacon jam (!!!) are in perfect harmony in this easy-to-make side that even the kids will love. What’s your favorite side with ham? 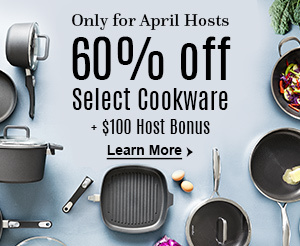 Do you prefer to stick to traditional sides or experiment with new recipes? Tell us in the comments below.